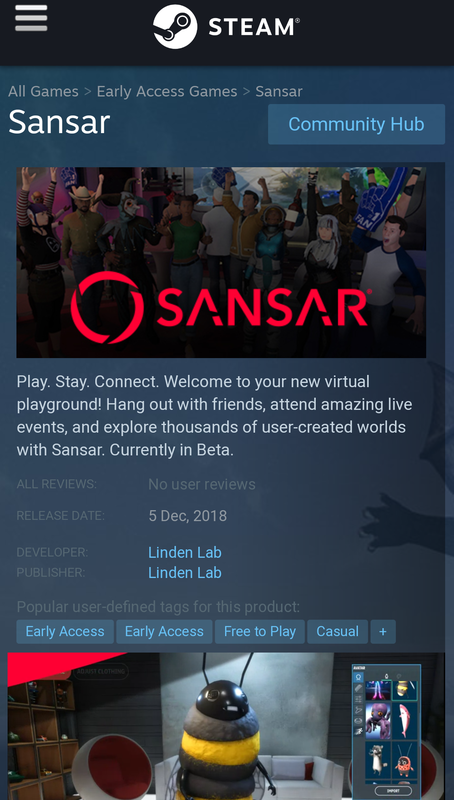 Today Linden Lab have officially launched Sansar on Steam. The long wait is finally over. Sansar is free to play on Steam and will be staying in the early access phrase for some time. You can now expect Linden Lab to listen to the feedback from the community and then roll out new features in the months ahead. It’s going to be interesting to see if Sansar can now reach a much bigger audience with it now being on the Steam platform. We will have to wait and see. Sansar now has greater potential to reach millions of users in the weeks ahead. “Right now, Sansar lets you host and attend virtual events, play games, explore user-created experiences, and buy and sell merchandise in the Sansar Store. Meet friends for a watch party and tailgate. Buy clothing and accessories for your avatars, or objects for the virtual experiences you build. Be sure to check out events.sansar.com – or find the Events tab in Sansar – to see what events we have coming up in December. You can also join our Discord if you haven’t already to hear up-to-the-minute announcements. We’ve got some great events coming up, including Comedy Gladiators: A Virtual Comedy Experience (12/10) and the Grand Finals of Star Trek Trivia (12/13)! 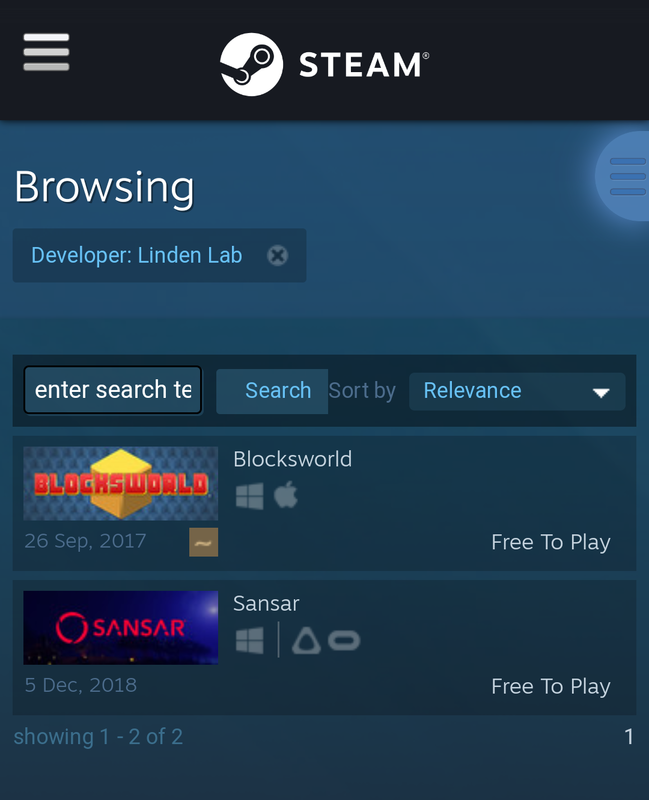 Will I be able tomerge my Sansar and Steam accounts? 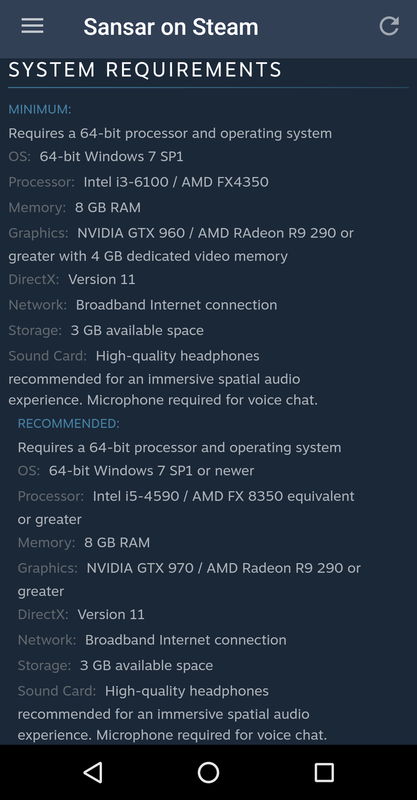 Pingback: Sansar: Look at the Fukn Requirements! – Thar She Blows!